We don’t really like spending money on buildings at Didsbury Baptist Church. Still, we recognise that a church building can be important as a centre for worship, ministry and mission. Our own building has become so well used by others that we can barely get access to it ourselves. This means we can rarely invite people, host activities, or generally operate out of our own building except at weekends. That is why we have been fund-raising for eleven years and have now begun construction to renovate and extend our building. When the project is complete both we and the child care groups that meet there daily will be able use the building simultaneously. Our problem now is that we designed our project without paying enough attention to the windows. We had hoped we might renovate these later. It has become obvious now that we cannot wait. 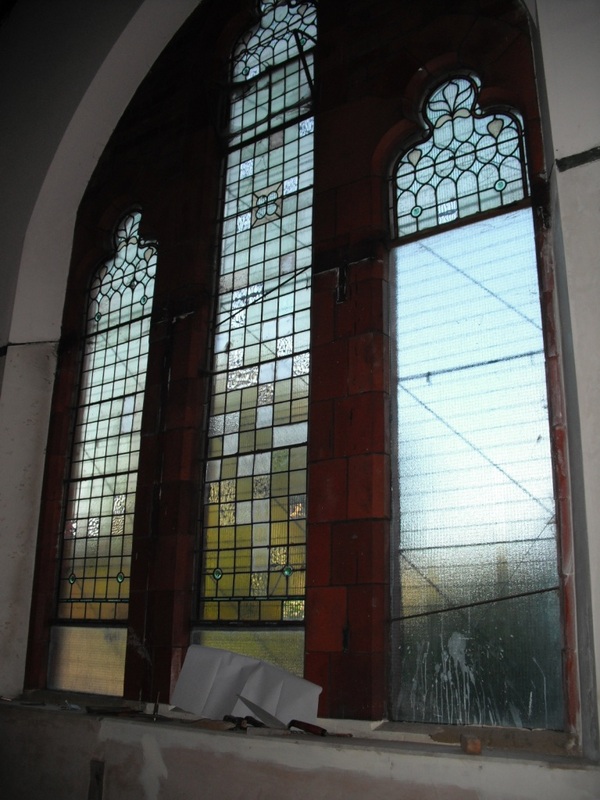 Originally stained glass, the windows have deteriorated and have been patched up over the years so that they are now a mishmash of stained and non-stained, repaired and unrepaired panes. 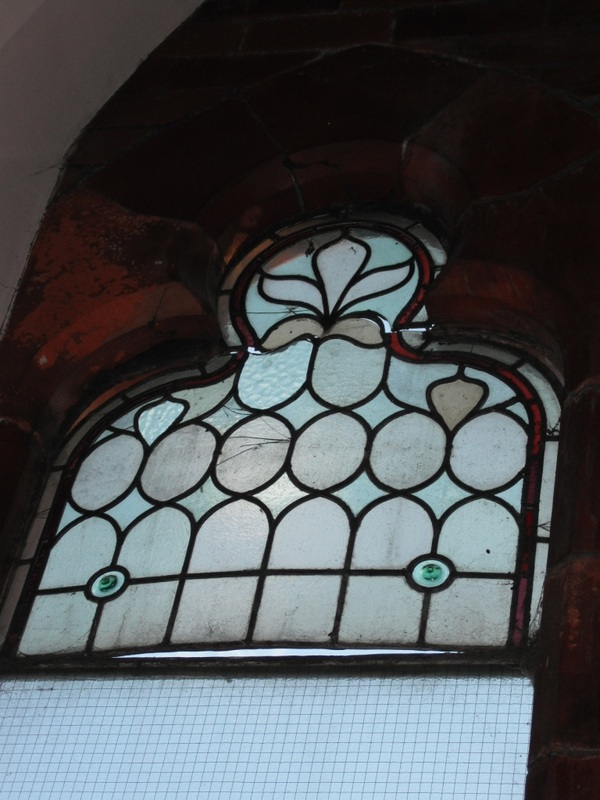 Worse, some panes are now falling out and all of them, we now discover, are leaking and therefore damaging the surrounding brick and plaster work. We simply have to replace them now. We plan, then, to replace six window expanses with plain double glazed units made to fit the current outline and to do so in such a way that colour design work can be added soon after if we decide we want it. This means we have to raise between £45,000 and £73,000 pretty much immediately. I know, for some churches this is peanuts but for a smaller congregation that already feels like it has given its right arm this is a lot. Even so, we know the job has to be done, so, with the help of God and the kindness of God’s people, we will do it. Pray for us if you would; help us if you can. Cheques can be made payable to DBCC Project and sent to Didsbury Baptist Church, Beaver Road and School Lane, Didsbury, Manchester, M20 6SX. 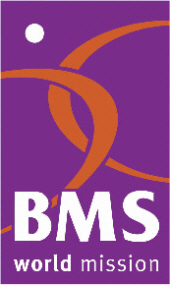 Further details and response form can be downloaded from our church life page. If you click on the image below you will be directed to Christian Aid’s web site where you can donate to their Appeal for the crisis in the horn of Africa. Thank you! 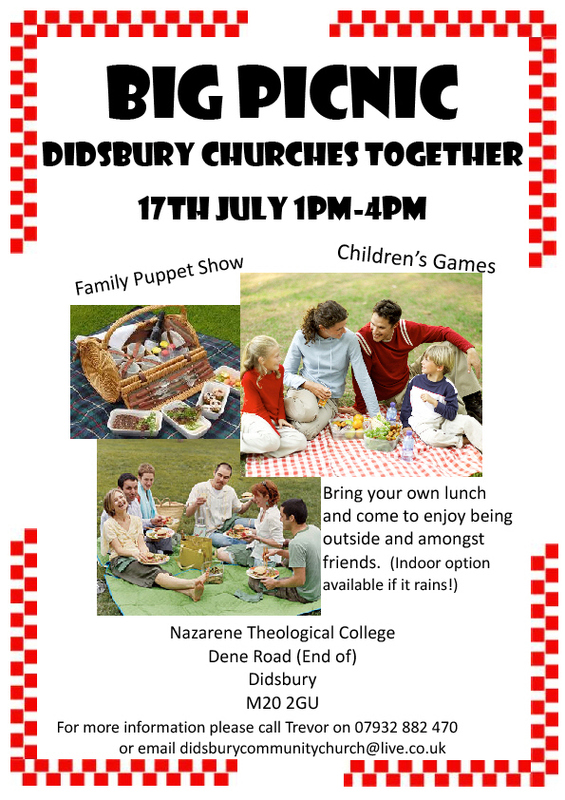 Churches work ing together in Didsbury are having a picnic! This will take place in the grounds of the Nazarene Theologcal College, Didsbury on Sunday afternoon 17 July from 1 till 4. There will be children’s games and a family puppet show. Please bring you own food. Drinks will be provided. For more information please call Trevor on 07932 882 470 or e-mail didsburycommunitychurch@live.co.uk. Please join us if you can.